Yes, we teach photography and camera classes. Want to learn low key lighting? High key? Rembrandt? Posing? Sports? Darkroom? Lightroom? Workflow? 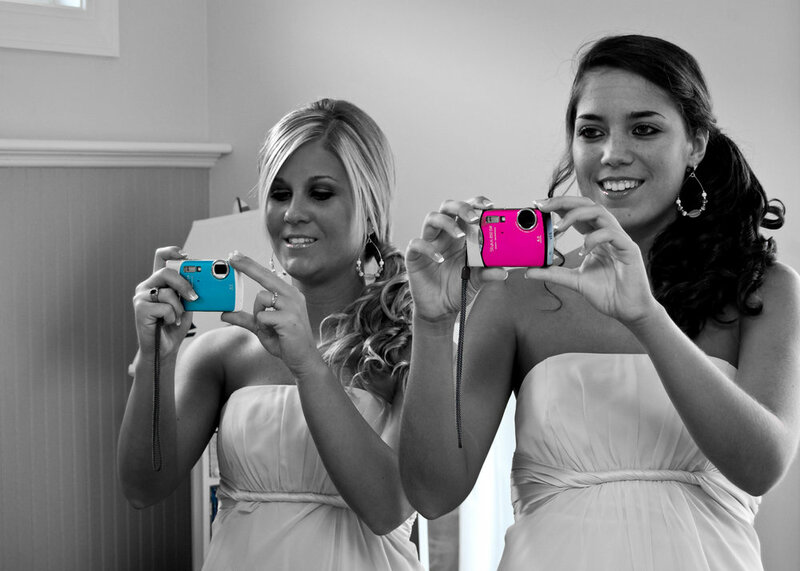 Your shooting your first wedding and are nervous? We can help. One on one instruction $50.00 per hour, tell us what your trying to accomplish and we'll do our best to help out. We have our own film lab and commercial darkroom and studio space. We are experienced instructors and will do everything we can to help. No schedule of classes just give me a shout tell me what your trying to do and we'll schedule a time convenient for both of us. Got a new camera and the manual seems like it was written by someone for whom English is a 3rd language? You want to buy a camera but you just don't know what camera you should purchase? Get some advice from someone who knows the differences. Give us a shout. We charge $50.00 per hour for one on one sessions. Give me a call at (910) 386-9974 or hit the contact form button below. "Can you teach me photography? I'm not looking for a career as a flower girl". "When I grow up, I wanna be on that side of the camera!" "Can someone show us how to use these stupid cameras?"